Finally the tasks of collecting unwanted furniture, followed by inspection, cleaning, painting, sanding and waxing are completed. I now have a beautiful, freshly painted table and four reupholstered chairs. I am smiling. I collected the chairs last fall, and the table a few months ago. Though they did not come together as a set, the design of the legs of table and chairs is the same … they belong together. The finish on the chairs was marred by years of use. The table and the upholstery fabric on the chairs not at all complementary to today’s styles. I paid a small price for the four chairs and table, because they were undesirable, unattractive and unwanted. 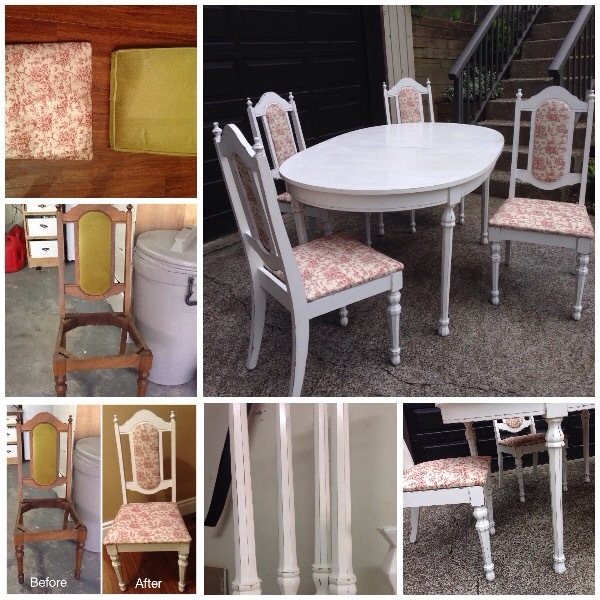 I love the process of refinishing old, unwanted furniture. New paint, a top waxing and new fabric can make what was previously unwanted, desirable and renewed. Now, don’t get me wrong, I love it, but it is not an easy process. I spent hours painting this furniture (I really need to get my paint sprayer working), then sanding, then the waxing process of wax on, wax off, plus the time measuring, cutting and attaching the upholstery fabric. It took two weeks for my carpel tunnel syndrome in my hands to stop waking me at night from the pain. But, when I stand back and take a look at the great improvement this redemption of old, unwanted furniture has been, all the work has been worth it. does God look at us this way? the sacrifice has been worth the result? Of course, those of us who know of the great love of our God, know that His answer would be “yes” (“for no matter how many promises God has made, they are “Yes” in Christ. And so through him the “Amen” is spoken by us to the glory of God” 2 Corinthians 1:20). Sometimes, though, we need to be reminded of this truth, of His love. May you, today, know of the redemption available through the great sacrifice of Christ, for you. March can be quite a conundrum of a month. Truly it is, or can be a month of contrasts, when one considers the weather. It is often a gentle month, with both warm and cool co-habitating in our days, our nights. It is a month of new life, emerging from every living thing. It is a month of possible wearing toe-less shoes in the day, and snuggling under a warm blanket at night. It is a month of lengthening daylight, but dark shadows still emerging. March is a month of looking forward, to the warmth of summer, to the freedom that summer’s schedule can bring. March is a month of dreaming of what is to come, while under the warmth of what was promised in the frigid winter months. Just yesterday we, in the Christian church, celebrated the Triumphal entry of Jesus into the city of Jerusalem. Jerusalem, the city of peace, which has, historically, rarely been peaceful, has also been a place of contrasts. Jesus, the Prince of Peace, entering into the city of peace. The people, laying clothes and palm branches at his feet, in awe of this new king, who had been promised to give them freedom, to give them peace. Just outside of the city, Mount Moriah. The mountain climbed by Abraham, in obedience (and trust) to God’s request that Abraham take his only son, Isaac, to sacrifice on an alter. The sacrifice, normally made with a perfect (spotless) lamb. Spotless, clean … to atone for something dirty, marred. On that mountain, God had asked Abraham to do the unthinkable, sacrifice his own son, as the only atonement for his sins. Abraham, in his trust of his God, did what was expected of him … and then God provided a substitute, a young ram. And now, this Easter week, we see contrasts again. A father preparing for the sacrifice of his son, but this time, there is no other substitute. 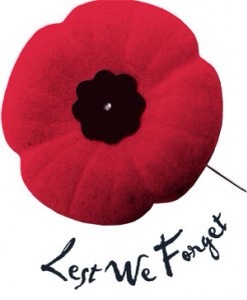 I grew up in a time which remembered sacrifice, on this day. I grew up in a place that understood peace keeping, as every high school graduating class included students who were to pursue that as their future profession. I have lived in our nations capital, of Ottawa, where the images of sacrifice were all around, and where every school, church and neighborhood had members of Canada’s peace keeping military. 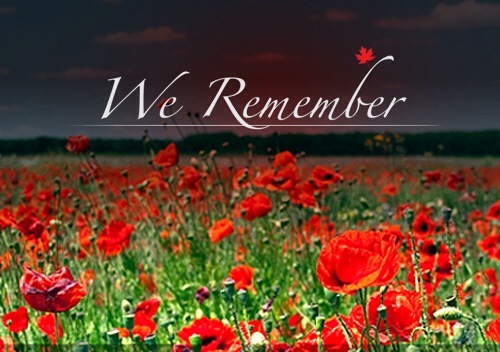 This year, this Remembrance Day, social media has provided visual symbols of remembrance with relevance for today. My favorite image is the one to the left. 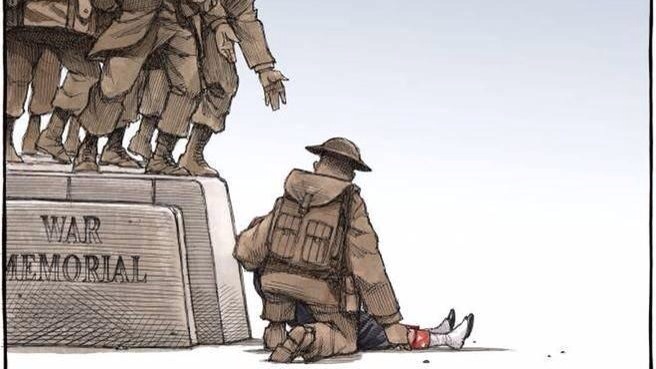 A visual response by artist, Bruce MacKinnon (The Halifax Chronicle Herald), after the October 22, 2014 killing of Cpl. Nathan Cirillo, while standing guard at the Tomb of the Unknown Soldier in Ottawa. Although I have not seen any similar images, honoring Warrant Officer Patrice Vincent, who was run down, while wearing uniform, in Quebec, I believe that MacKinnon’s image will bring both, and their grieving families, to the minds of all who see it. 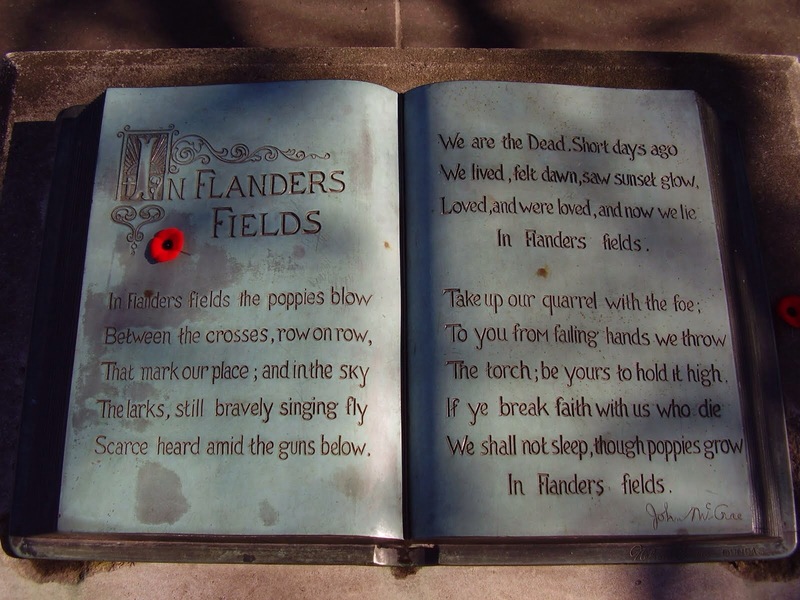 The haunting words of John McCrae, and his poem “In Flander’s Fields.” The image of the poppy, representing the continuance of life, after those whose blood was spilled, fighting a foe we are encouraged to continue battling (“take up our quarrel with the foe … if ye break faith with us who die we shall not sleep”). We must battle for peace, in word and, if necessary, in deed. Those, who McCrae wrote of, had to battle in deed. November 11, every year, we have opportunity to remember those who gave their lives, those whose lives were forever changed. 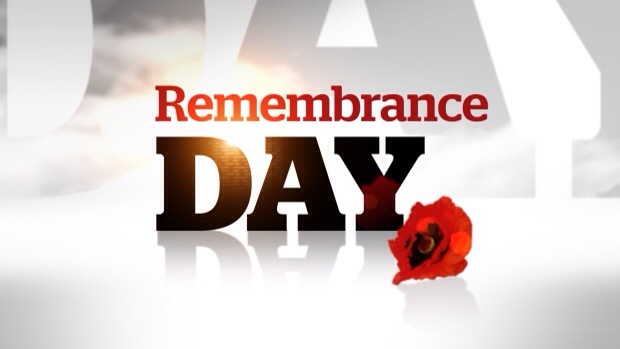 Attending a service of Remembrance, watching one on the television or online … taking a moment to be silent, and remember. These are opportunities to honor, not war, but the privilege of living in peace, at the expense of others who have gone before us. Our six years of living in Ottawa acquainted me with the honor no mother ever wants, that of being awarded the Silver Cross. This ‘award’ is given to Canadian mothers who have lost a son or daughter in service to this country. 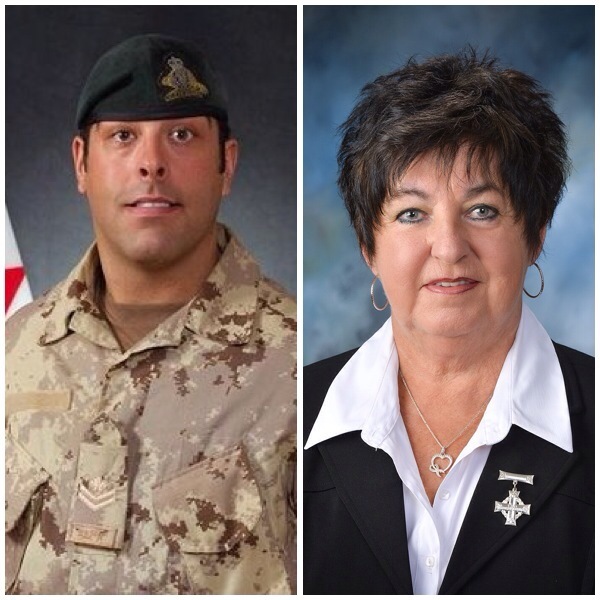 The National Silver Cross mother has been chosen to lay a wreath during Canada’s Remembrance Day ceremony, in Ottawa, as a representative of all mothers who have lost a child in service. This year, Gisèle Michaud, whose son. Master Cpl. Charles-Philippe Michaud, was wounded after stepping on an explosive device, in June, 2009, in Afghanistan, is Canada’s Silver Cross Mom. The image above, of people atop a bank, overlooking a beach, with the image of the soldiers who fought for that beach, for the freedom of going to the beach, has caught my attention this year. I could not find the name of the artist, or of the specific place or story it depicts. Could it be Normany? Dieppe? Does it matter? What is important is that we remember that the freedom we have has been bought by a high cost. We needed divine intervention, something unique and peaceful to quiet my favorite pair of students. The constant, monsoon rains had created something akin to a state of stir crazy for this pair, and more academics was not the medicine for their (or my) ill. I opted for a rarely used, but very effective, prescription … a story and drawing. I went to a book that I knew to be ‘safe’ on the library shelf, The Book of Virtues by William J. Bennett. A smaller copy has graced the shelves of my own bookcase, and many of it’s tales have been read to, and by, my own kids. The book contains stories, fables, poetry and the like, all focused on teaching a moral. Over the years, I have found that many students, and especially those with special needs are often far more understanding of such stories, that ones told simply for the purpose of entertainment. The following is the story I read. Credit for the writing of the story was given to Chuck Colson, but it is a true story … it is a redemption story. As you read this true story, may your heart and mind be as stilled, and inspired as my stir crazed pair that day as we experienced the divine inspiration from one who truly lived fully. “Maximilian Kolbe was forty-five years old in the early autumn of 1939 when the Nazis invaded his homeland. He was a Polish friar in Niepokalanow, a village near Warsaw. There, 762 priests and lay brothers lived in the largest friary in the world. Father Kolbe presided over Niepokalanow with a combination of industry, joy, love, and humor that made him beloved by the plainspoken brethren there. In his simple room, he sat each morning at a pigeonhole desk, a large globe before him, praying over the world. He did so, tortured by the fact that a pale man with arresting blue eyes and a terrifying power of manipulation had whipped the people of Germany into a frenzy. Whole nations had already fallen to the evil Adolf Hitler and his Nazis. “An atrocious conflict is brewing,” Father Kolbe told a group of friars one day after he had finished prayers. “We do not know what will develop. In our beloved Poland, we must expect the worst.” Father Kolbe was right. His country was next. On September 1, 1939, the Nazi blitzkrieg broke over Poland. After several weeks, a group of Germans arrived at Niepokalanow on motorcycles and arrested Father Kolbe and all but two of his friars who had remained behind. They were loaded on trucks, then into livestock wagons, and two days later arrived at Amtitz, a prison camp. Conditions were horrible, but nor horrific. Prisoners were hungry, but no one died of starvation. Strangely, within a few weeks the brothers were released from prison. Back at the friary, they found the buildings vandalized and the Nazis in control, using the facility as a deportation camp for political prisoners, refugees, and Jews. The situation was an opportunity for ministry, and Father Kolbe took advantage of it, helping the sick and comforting the fearful. As for Poland’s hundreds of thousands of priests? Maximilian Kolbe was clearly a priest who “acted differently,” from the Nazis’ designs. In early February 1941, the Polish underground smuggled word to Kolbe that his name was on a Gestapo list: he was about to be arrested. Kolbe knew what happened to loved ones of those who tried to elude the Nazis’ grasp: their friends and colleagues were taken instead. He had no wife or children; his church was his family. And he could not risk the loss of any of his brothers in Christ. So he stayed at Niepokalanow. At nine o’clock on the morning of February 17, Father Kolbe was sitting at his pigeonhole desk, his eyes and prayers on the globe before him, when he heard the sound of heavy vehicles outside the thick panes of his green-painted windows. He knew it was the Nazis, but he remained at his desk. He would wait for them to come to him. After being held in Nazi prisons for several months, Father Kolbe was found guilty of the crime of publishing unapproved materials and sentenced to Auschwitz. Upon his arrival at the camp in May 1941, an SS officer informed him that the life expectancy of priests there was about a month. Kolbe was assigned to the timber detail; he was to carry felled tree trunks from one place to another. Guards stood by to ensure that the exhausted prisoners did so at a quick trot. Years of slim rations and overwork at Niepokalanow had already weakened Kolbe. Now, under the load of wood, he staggered and collapsed. Officers converged on him, kicking him with their shiny leather boots and beating him with their whips. He was stretched out on a pile of wood, dealt fifty lashes, then shoved into a ditch, covered with branches, and left for dead. Later, having been picked up by some brave prisoners, he awoke in a camp hospital bed alongside several other near-dead inmates. There, miraculously, he revived. Kolbe was switched to other work and transferred to Barracks 14, where he continued to minister to his fellow prisoners, so tortured by hunger they could not sleep. By the end of July 1941, Auschwitz was working like a well-organized killing machine, and the Nazis congratulated themselves on their efficiency. The camp’s five chimneys never stopped smoking. The stench was terrible, the the results were excellent: eight thousand Jews could be stripped, their possessions appropriated for the Reich, gassed, and cremated – all in twenty-four hours. Every twenty-four hours. About the only problem was the occasional prisoner from the work side of the camp who would figure out a way to escape. When these escapees were caught, as they usually were, they would be hanged with special nooses that slowly choked out their miserable lives – a grave warning to others who might be tempted to try. Then one July night as the frogs and insects in the marshy land surrounding the camp began their evening chorus, the air was suddenly filled with the baying of dogs, the curses of soldiers, and the roar of motorcycles. A man had escaped from Barracks 14. The next morning there was a peculiar tension as the ranks of phantom-thin prisoners lined up for morning roll call in the central square, their eyes on the large gallows before them. But there was no condemned man standing there, his hands bound behind him, his face bloodied from blows and dog bites. That meant the prisoner had made it out of Auschwitz. And that meant death from some of those who remained. After the roll call, Camp Commandant Fritsch ordered the dismissal of all but Barracks 14. While the rest of the camp went about its duties, the prisoners from Barracks 14 stood motionless in line. They waited. Hours passed. The summer sun beat down. Some fainted and were dragged away. Some swayed in place but held on; those the SS officers beat with the butts of their guns. Father Kolbe, by some miracle, stayed on his feet, his posture as straight as his resolve. By evening roll call the commandant was ready to levy sentence. The other prisoners had returned from their day of slave labor; now he could make a lesson out of the fate of this miserable barracks. The rows of exhausted prisoners began to sway as they heard the sentence. The guards let them; terror was part of their punishment. The starvation bunker! Anything was better – death on the gallows, a bullet in the head at the Wall of Death, or even the gas in the chambers. All those were quick, even humane, compared to Nazi starvation, for they denied you water as well as food. The prisoners had heard the stories from the starvation bunker in the basement of Barracks 11. They said the condemned didn’t even look like human beings after a day or two. They frightened even the guards. Their throats turned to paper, their brains turned to fire, their intestines dried up and shriveled like desiccated worms. Commandant Fritsch walked the rows of prisoners. When he stopped before a man, he would command in bad Polish, “Open your mouth! Put out your tongue! Show your teeth!” And so he went, choosing victims like horses. “Take off your shoes!” the commandant barked at the ten men. This was one of his rituals; they must march to their deaths barefoot. A pile of twenty wooden clogs made a small heap at the front of the grassy square. Suddenly there was a commotion in the ranks. A prisoner had broken out of line, calling for the commandant. It was unheard of to leave the ranks, let alone address a Nazi office; it was cause for execution. Fritsch had his hand on his revolver, as did the officers behind him. But he broke precedent. Instead of shooting the prisoner, he shouted at him. Fritsch stared at the prisoner, No. 16670. He never considered them as individuals; they were just a gray blur. But he looked now. No. 16670 didn’t appear to be insane. Father Kolbe sensed the need for exacting diplomacy. The Nazis never reversed an order; so he must not seem to be asking him to do so. Kolbe knew the Nazi dictum of destruction: the weak and the elderly first. He would play on this well-ingrained principle. His ploy triggered the response Kolbe wanted. “In whose place do you want to die?” asked Fritsch. “For that one,” Kolbe responded, pointing to the weeping prisoner who had bemoaned his wife and children. Fritsch glanced at the weeping prisoner. He did look stronger than this tattered No. 16670 before him. For the first and last time, the commandant looked Kolbe in the eye. “Who are you?” he asked. “Ein Pfaffe!” the commandant snorted. He looked at his assistant and nodded. Palitsch drew a line through No. 5659 and wrote down No. 16670. Kolbe’s place on the death ledger was set. Father Kolbe bent down to take off his clogs, then joined the group to be marched to Barracks 11. As he did so, No. 5659 passed by him at a distance – and on the man’s face was an expression so astonished that it had not yet become gratitude. But Kolbe wasn’t looking for gratitude. If he was to lay down his life for another, the fulfillment had to be in the act of obedience itself. The joy must be found in submitting his small will to the will of One more grand. As the condemned men entered Barracks 11, guards roughly pushed them down the stairs to the basement. “Remove your clothes!” shouted an officer. Christ died on the cross naked, Father Kolbe thought as he took off his pants and thin shirt. It is fitting that I suffer as He suffered. In the basement the ten men were herded into a dark, windowless cell. “You will dry up like tulips,” sneered one jailer. Then he swung the heavy door shut. As the hours and days passed, however, the camp became aware of something extraordinary happening in the death cell. Past prisoners had spent their dying days howling, attacking one anther, clawing the walls in a frenzy of despair. But now, coming from the death box, those outside heard the faint sounds of singing. For this time the prisoners had a shepherd to gently lead them through the shadows of the valley of death, pointing them to the Great Shepherd. And perhaps for that reason Father Kolbe was the last to die. On August 14, 1941, there were four prisoners still alive in the bunker, and it was needed for new occupants. A German doctor named Boch descended the steps of Barracks 11, four syringes in his hand. 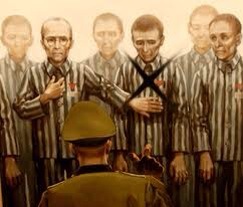 Several SS troopers and a prisoner named Brono Borgowiec (who survived Auschwitz) were with him – the former to observe and the latter to carry out the bodies. When they swung the bunker door open, there, in the light of their flashlight, they saw Father Maximilian Kolbe, a living skeleton, propped against one wall. His head was inclined a bit to the left. He had the ghost of a smile on his lips and his eyes wide open, fixed on some faraway vision. He did not move. The other three prisoners were on the floor, unconscious but alive. The doctor took care of them first, a jab of the needle into the bony left arm, the push of the piston in the syringe. It seemed a waste of the drug, but he had his orders. Then he approached No. 16670 and repeated the action. I went to bed Saturday night with the excitement and anticipation of a child awaiting the arrival of the Easter Bunny! 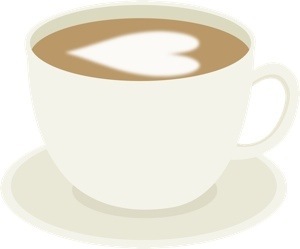 For the first time since before the season of Lent I would not just have the habit of my morning hot and steaming cup, but also the enjoyment of the taste! Hubby was making the coffee that morning, and asked how many cups I wanted. The anticipation was so great that I knew one cup would not do. He decided to double his regular amount as well. Of course this meant that the waiting for it to brew also took double the normal amount of time! You know how they say that a watched kettle never boils? Well, let me tell you, the same goes for a watched coffee maker! Once I was pouring the hot, steaming dark into my cup of cream, the rest of my senses awakened with delight. The marriage of the white and black into a caramel cup of visual wonderland. The steam was beckoning my inhaling of nasal delights. And my hands sought the warmth pushing through the ceramic mug. All that was left was to lift it to my lips and enjoy. And enjoy I did! It was such a treat for my senses. I also made a realization … this Easter Sunday treat created such a delightful start to my Sunday. I feel embarrassed to admit that I had not looked forward to Sunday like this in … too long. This omission of cream in my every day morning coffee, although such a miniscule sacrifice, did give me a fresh appreciation of what Jesus sacrificed. Everything about the Easter story was clearer, more meaningful to me. Not because I had omitted cream from my coffee, but because I had participated in sacrifice. In a sense I awoke on Easter Sunday feeling as though I had gone to the tomb and found it empty. Today marks the day that Christians around the globe recognize and remember the sacrificial death of Jesus, leading to His foretold resurrection from the dead on Sunday. This Good Friday observance is frequently remembered in a funeral-like way, with the recognition of the terrible death, darkness and quiet. It is a very direct opportunity for followers of Christ to come face to face with what Jesus did for us all. The horrors of the day that we celebrate were trumped by His miraculous return from the grave on Sunday. And, because of Good Friday, we can all overcome death. Good Friday always brings me back to the foundation, the basics of what I believe, and the song on the video, below, echos what I believe.